If biking is your favorite daily workout, you might be struggling with getting in your exercise because of the dropping temperatures outside. With the winter fast approaching, your favorite workout regimen is certainly threatened with a long hiatus. But now there are indoor cycling workouts that be the perfect substitute for your preferred exercise. The indoor cycling workout in Foxboro, MA is the new favorite alternative for many avid bikers. Winter can impede the outdoor biking sessions but indoor cycling offers the same benefits to participants as outdoor biking. The muscles used for pedaling are also used vigorously when riding a stationery bike. Meanwhile, it also provides the same cardio impact as the real thing since stationery bikes have calibration settings that can help you challenge yourself during your workout. Moreover, indoor cycling gives you the opportunity to exercise with a group. Group exercise can motivate you to push your hardest during a workout session. Friendly competition can challenge you to push yourself harder and overtime the outcome will show in your body and overall health. Contact Answer is Fitness for more information on indoor cycling. Coughs and colds are more common in the winter. Although getting enough rest and eating right can keep our body healthier to ward off viruses and bacteria that cause cold and flu, it is also best to supplement these preventative measures with exercise. One form of exercise that can help boost the body's immunity is Yoga fitness. Mental stress can lower our defenses and make us prone to colds. But yoga exercise can help reduce the level of stress hormones and relaxes the nervous system, including the immune system. The nervous system prompts the immune system to stop attacking foreign bodies to stop the inflammation. When the inflammation subsides, cold symptoms are relieved. Moreover, the mechanical efficiency of your lungs is improved by performing breathing techniques and yoga poses. It helps condition your respiratory system to increase the strength of the lung and fend off infection. Going forward, yoga poses also promotes good blood circulation and better lymphatic drainage. Toxins can be properly eliminated from the body when there's good circulation. To learn more about the benefits of yoga, contact Answer is Fitness. Many struggle to lose weight. You may think the fastest way to achieve weight loss is to skip meals or jump on fad diets. However, this is generally unsafe and not sustainable. If you want to make modifications to your diet for faster weight loss results, healthy eating and regular physical activity offer the best long term results. Paying attention to your daily food intake is key. To expedite the process, you also need a regular and fun full body workout to pair with your healthy diet. Your body requires food of all types for fuel, including fats and sugars. The key is moderation and balance. Various nutrients keep your body robust and resistant to winter colds and coughs that can slow you down. Skipping a meal is not the answer to keep you lean. Besides, you can't workout properly when you have insufficient energy or nutrients. Healthy living is all about changing your mindset. Regular meals are essential to the body. Often, making modifications in your snacks and meals and changing your perception about a regular workout is what is needed. Exercise not just to lose weight but to keep your body strong and flexible so that stress, disease, or life challenges won't take such a toll. Personal Training in Foxboro, MA will teach you how to get and stay fit, not just for outward appearance, but for embracing a healthy lifestyle. Your journey with your personal trainer can be truly life changing because it will not only help you transform your body but also change your perception towards healthy living. To learn more nutrition and fitness tips, contact Answer is Fitness. The perception that all fitness programs are too rigid or intense is a common misconception. This is often a hurdle or excuse for many who want dream of getting into fitness but are afraid of the perceived obstacles. The best way to get rid of this incorrect idea is to join a program like Zumba fitness which offers a less intense workout and a party-like environment. Zumba fitness class in Foxboro, MA offers a fun-packed class that keeps the interest and enthusiasm of participants, regardless of if they have just started to exercise or have been for years. This class is perfect for all ages and the workout is less rigid; it's a dance. 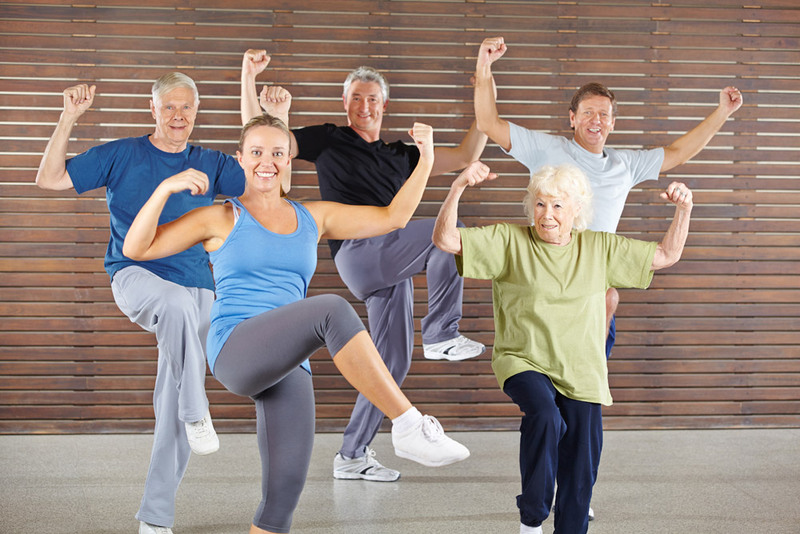 In fact, with the upbeat Latin music and fun dance moves, many seniors join the younger generation and actively participate in this workout. The dance moves are heart pounding and make you sweat, helping you to shed calories and tone muscles for a leaner shape and healthier body. Moreover, Zumba fitness class is a perfect venue for socializing and mingling with others. Having the chance to exercise in a group will motivate you, challenge you, and keep you coming back for more. What are you waiting for? Contact Answer is Fitness to find out more about Zumba fitness.